With Aurora PAY AS YOU GO you can purchase electricity credits for any amount between $5 and $200 at Prospect Marketplace Newsagency. The credit charges up your Smart Card, which you then transfer to your meter at home. By purchasing credit in advance you know what you are spending on power as you spend it - which makes household budgeting a whole lot simpler. Aurora PAY AS YOU GO is currently used in over 37,000 households and is a convenient and easy alternative to receiving your quarterly power bill. 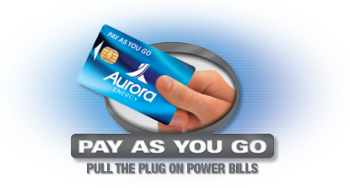 For more information about Aurora PAY AS YOU GO visit www.apayg.com.au.